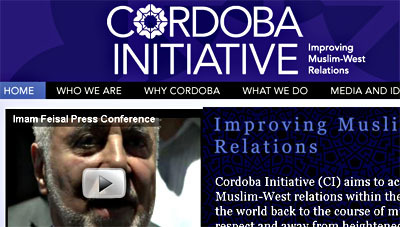 The Cordoba Initiative, which is headed by an imam named Feisal Abdul Rauf, is an enemy of al Qaeda, no less than Rudolph Giuliani and the Anti-Defamation League are enemies of al Qaeda. Bin Laden would sooner dispatch a truck bomb to destroy the Cordoba Initiative’s proposed community center than he would attack the ADL, for the simple reason that Osama’s most dire enemies are Muslims….al Qaeda’s goal is the purification of Islam (that is to say, its extreme understanding of Islam) and apostates pose more of a threat to Bin Laden’s understanding of Islam than do infidels….Bin Laden wants a clash of civilizations; the opponents of the mosque project are giving him what he wants. I can sympathize with the position advanced by some that, whether or not the project should be permitted, the property owners should choose not to build it in the proximity of Ground Zero. I may disagree with this position, but it is not for me to decide what does and does not offend others. But what is not only wrong, but also plays right into the hands of al Qaeda, is the decision by the movement Right to choose this as just the latest battleground in the culture wars with the Left, further dividing the American people in the process, as well as just another battleground in the clash of civilizations with Islam that is precisely what al Qaeda desires. I know this is an eternal question with no answer, but I can’t help but wonder what’s driving this mania on the right. Is it stupidity or venality? It’s one thing for a few lunatic bloggers like Pam Geller to go nuts over this kind of thing, but it’s hard to believe that most rank-and-file Republican politicians, or even firebrands like Newt Gingrich, really believe what they’re saying about the GZM. It’s just so plainly specious and so plainly not in American interests to foster this kind of attitude. On the other hand, if they don’t believe it, would even modern conservatives be cynical enough to promote this kind of obviously dangerous hysteria just for partisan purposes? It has always seemed to me that this war against al Qaeda is a war for religious freedom, and ultimately for the separation of church and state. It is al Qaeda’s psychotic conflation of politics and religion that we fight, not their religion itself. But these are very abstract things for anyone to fight for, to identify with emotionally and viscerally. And so, even when we start with good intentions and clear minds — we are fighting not Islam but Islamism, not religion but theocracy — we can soon simply drift and degenerate into more primitive associations. What we’ve been watching from Palin to Gingrich is an exploitation of this human degeneracy, or in the ADL’s case, sheer liberal cowardice in the face of tribalism. Even now, Gingrich and Palin fail to understand that rhetorical polarization may be good politics but it is terrible statesmanship in a war of ideas as well as physical combat. It’s a long war that will only be won in the minds of most Muslims, which is why how we act remains of importance. Yes, the human psyche will make easy and common and hard-to-resist associations between a religion and an act of war by the most deranged and nihilist members of that religion. For once, I really do miss George Bush. The damage he did to the American cause in the Muslim world is incalculable, but at least he never countenanced this kind of lunatic bigotry. Are there any Republican leaders left today who can say the same? Anyone willing to just quietly and frankly defend traditional American notions of religious freedom and traditional American notions of tolerance and decency? This is, after all, a big part of the reason that Muslims have integrated so successfully into American society. Anyone?